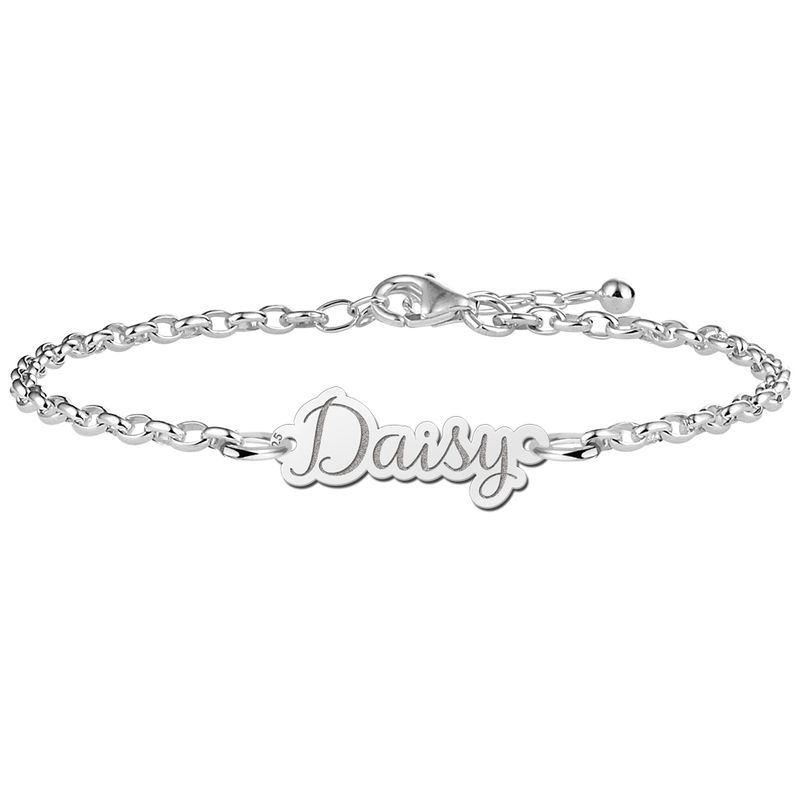 A silver name bracelet is a wonderful piece of jewellery to give your outfit an individual touch. Therefore it is not that important if you like to wear an elegant dress or if you prefer to wear jeans, because the silver name bracelet can be combined with almost everything! 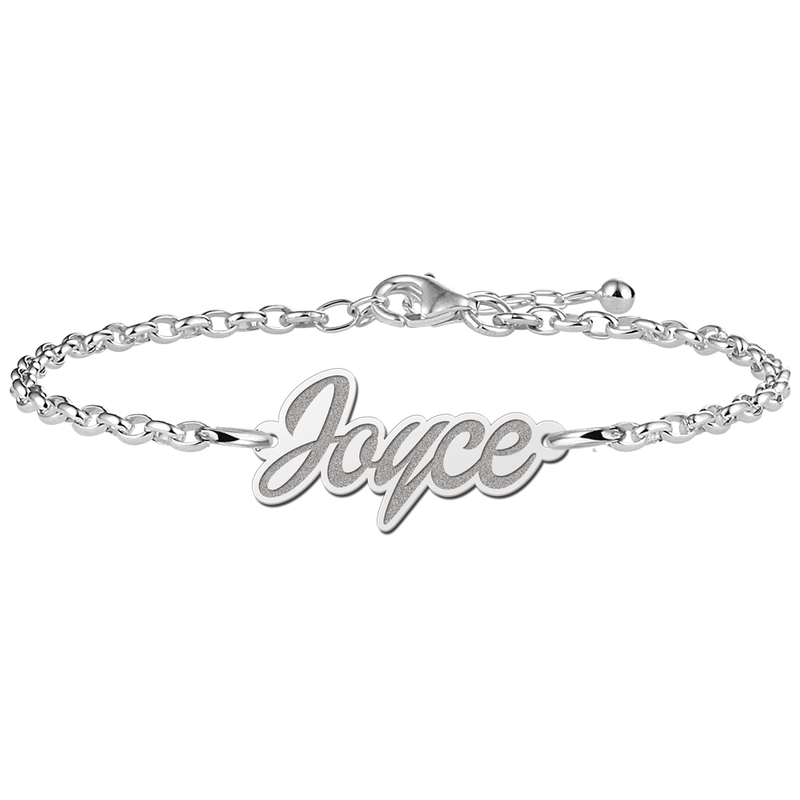 A silver name bracelet is also popular as a gift, because it is a valuable and at the same time very personal present. And that’s why it is an ideal piece of jewelry! At Names4ever, you are assured of receiving high quality products, because our bracelets are made from 925 Sterling silver. This is the highest silver content as the bracelet consists of 92.5% silver. The remaining 7.5% are copper, with which the bracelet is enriched, because pure silver is too soft for the production of jewelry. 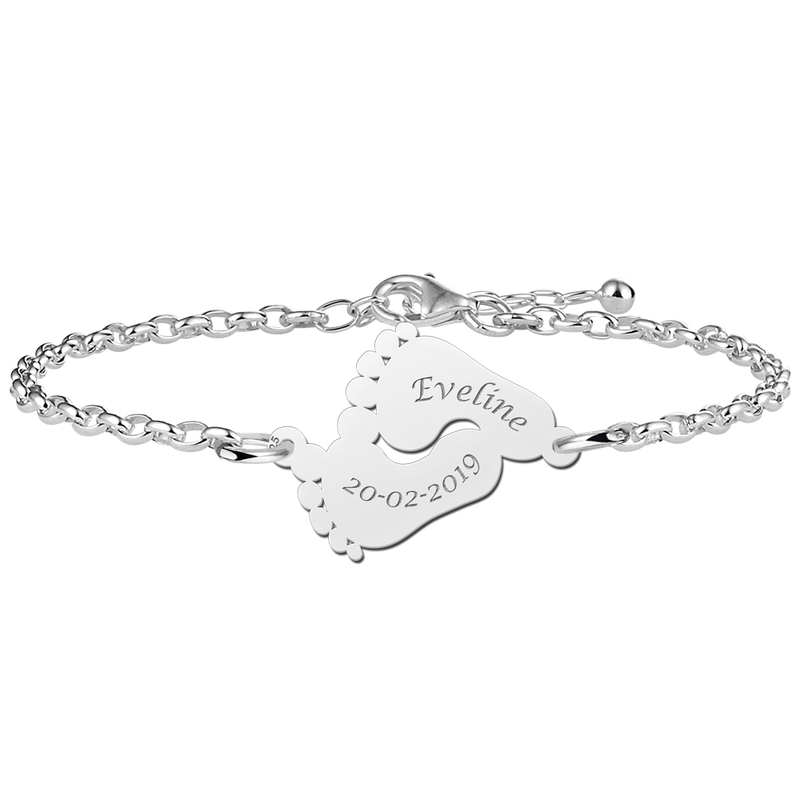 If you decide to buy a silver bracelet with a name, you have the choice between a bracelet with the shape of your name or a bracelet with name engraving. When choosing a model, you can ask yourself how obvious your name should be presented. Do you want the name to be clearly expressed or do you prefer the minimalistic style? For minimalistic style bracelets, a silver name bracelet with engraving, such as a bar bracelet, is suitable. 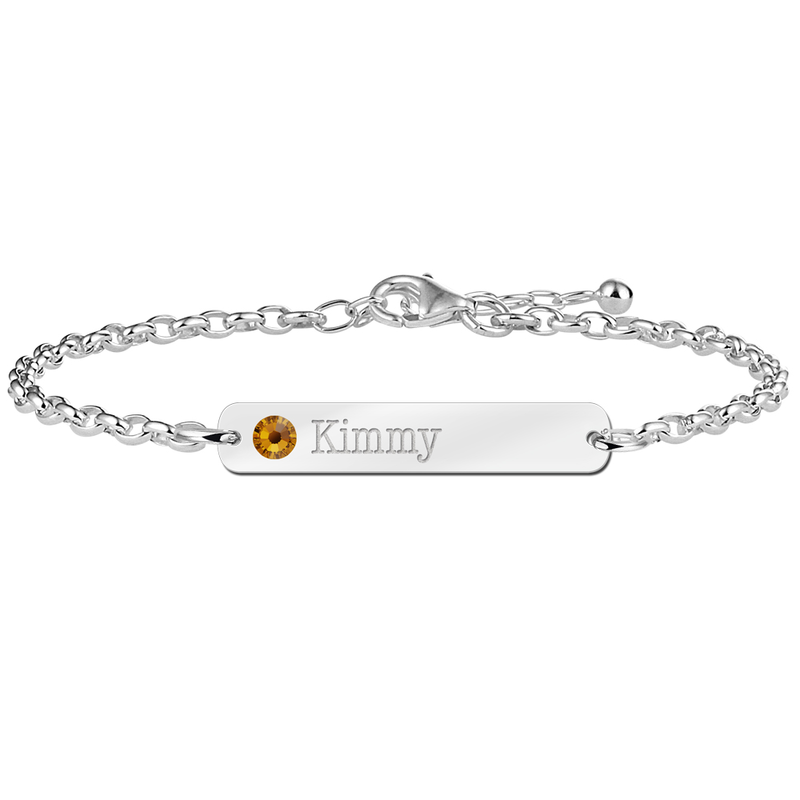 The engraving on the bar presents your name more discreetly than bracelets with the shape of your name. In addition, there are of course even more possibilities for forms than just the form of your name. For example the Infinity form on which your name can be engraved. Therefore you can take a look at our Infinity bracelets. 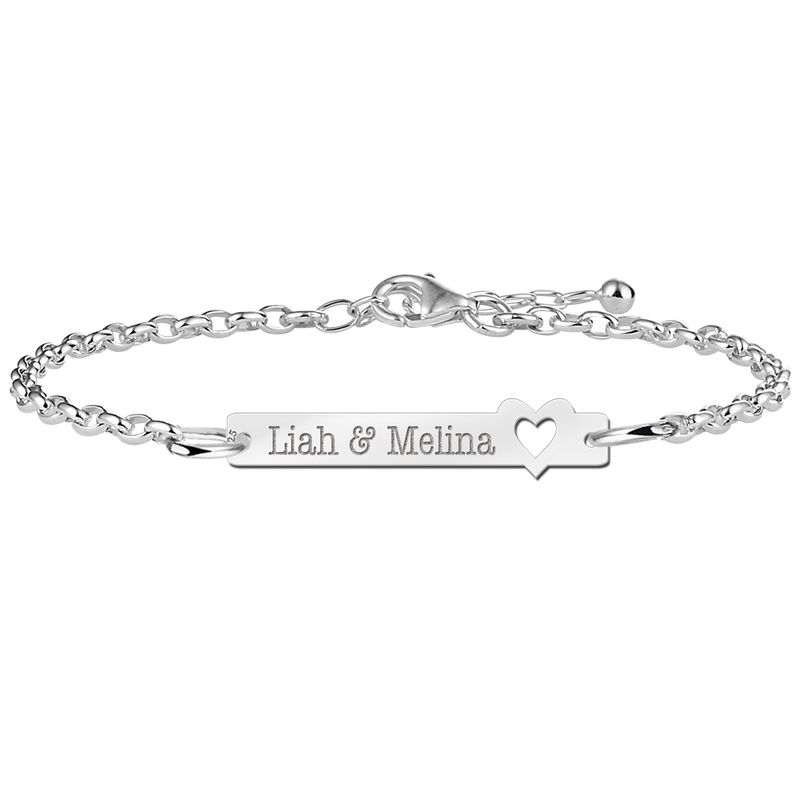 It is hereby also often possible to have two names engraved on those types of silver name bracelets. In this way you can express your love - for example as a couple or as a mother and daughter. Other shapes that we offer in our collection are: Hearts, triangles, circles, rectangles and more. Now, if you ask yourself the question: Is it actually possible to engrave a text other than a name? Then the answer is: of course! You don't necessarily have to enter your name as an engraving request. If there is another word or phrase that means a lot to you, you can of course write it down. 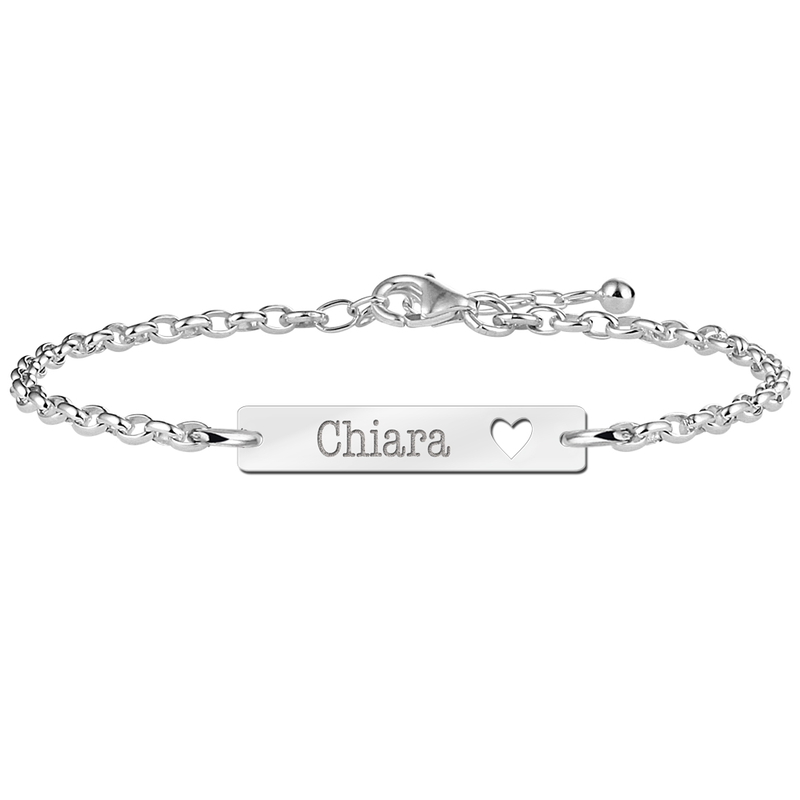 Most silver name bracelets can be engraved with 10 or 12 characters. The length of the silver bracelets includes the characters. Since the bracelets have an open chain link, they are also adjustable in length. Silver name jewelry in general belongs to the trends that are timeless, because your name belongs to you forever. Names4ever also offers a wide variety of name necklaces. 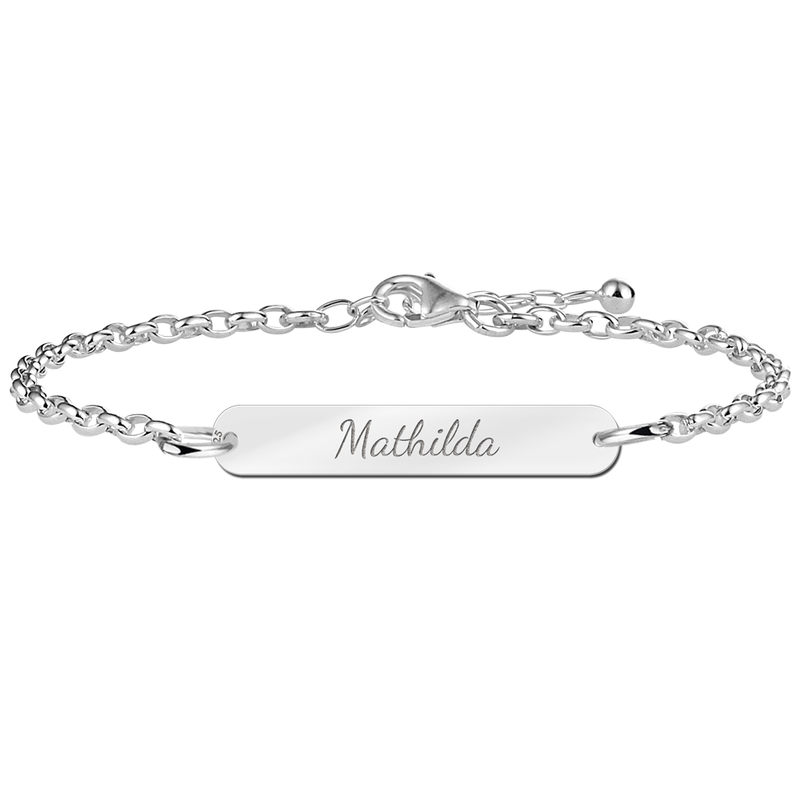 What do you think about ordering your silver name bracelet directly in combination with a name chain? This way you have a name jewelry set that you can wear in combination or separately. An order process is completed when the payment has been made. As soon as this is done, your personalized silver bracelet will be put into production. The production can take up to three days. 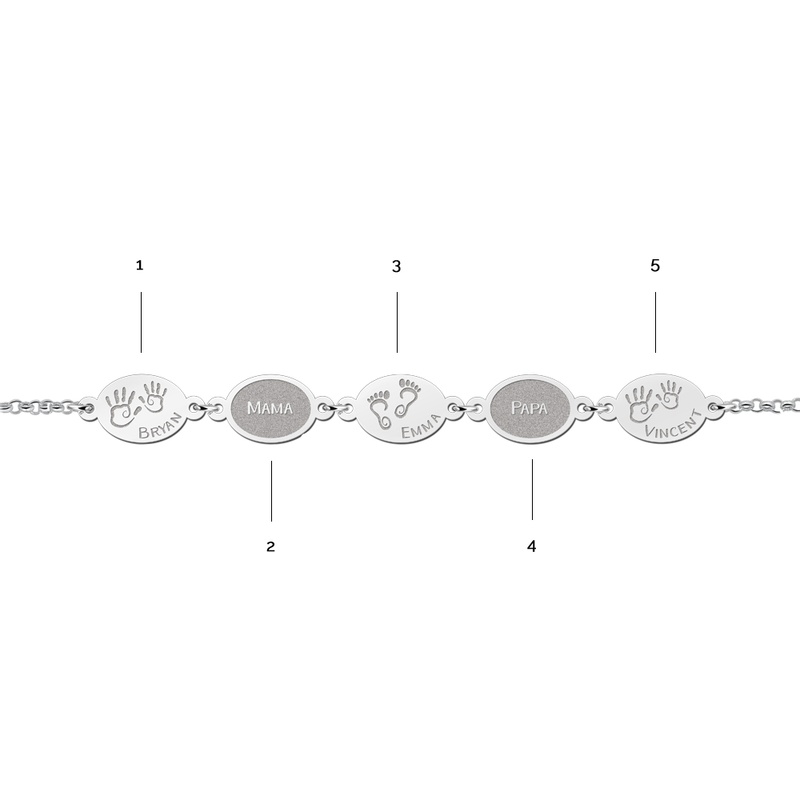 Including shipping, you will receive your silver name bracelet approximately 8-10 business days after your order.